New Limited Edition HELLO KITTY Accessories For Sale Till Mid-April! 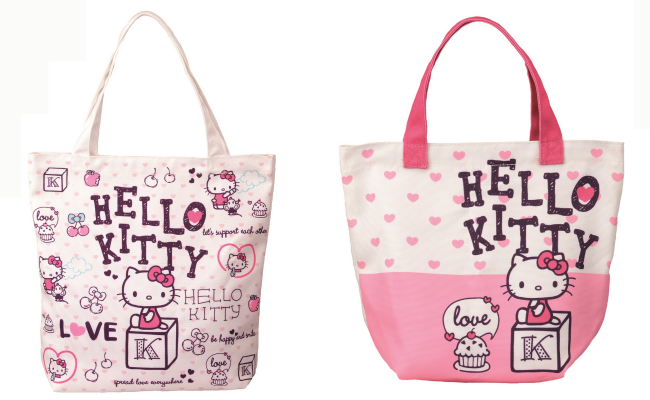 These stylish limited editions of Hello Kitty accessories - tote bags, lunch bags, cosmetics pouches and laptop bags are making waves with Guardian customers and fans of the cutest kitty on the planet! Available in delightful shades of purple and pink, they carry messages of cheer and spread love, as they were specially designed for the celebration of International Women’s Day on March 8. Called the “Hello Kitty Hello Confidence” collection, they are available at Guardian stores from 8 March to 18 April. To buy these items, customers only need to spend RM20 on products that include one item from a sponsor brand; or RM30, without a sponsor brand.